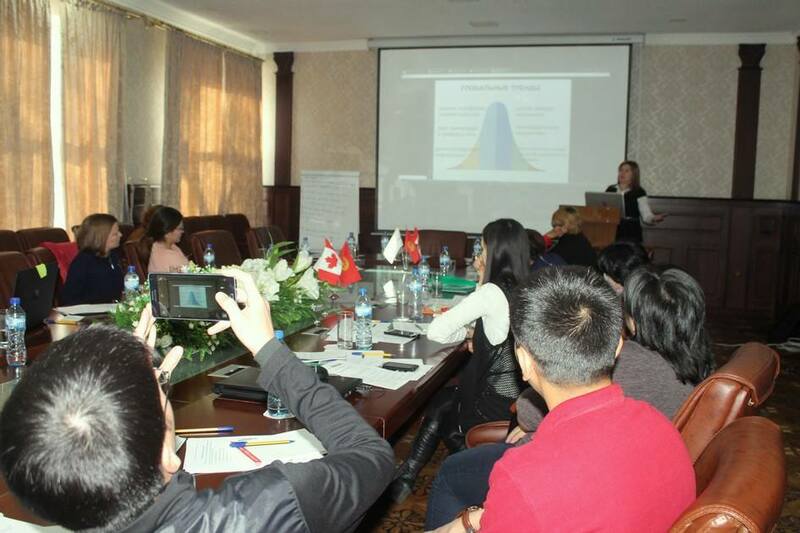 Activists working in NGOs on the issues of diversity, minorities and social groups from various regions of Kyrgyzstan trained effective communications with media at the workshop held in Bishkek on November 23, 2017. The training program comprised interactive sessions and practical group exercises. Participants learned about the purposes of communications and newsbreaks, learned how to make standard events interesting for media, understood to find topics that may be of interest for the audience when covering the activities of NGOs in the context of minorities issues. 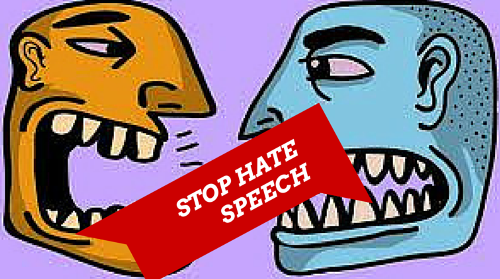 A special session was dedicated to the freedom of expression, hate speech and stereotypes, and also the skills of compiling glossaries on overcoming hate speech to work with sensitive content. During intensive group games, participants practiced the skills of communicating with journalists, and learned to hold press conferences given the model situation. Natalya Lyubeznova, a trainer of the workshop, says that effective communications between media and communities will help activists promote significant ideas and projects important for the people. 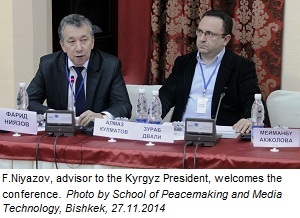 "Acquiring the interaction skills is needed to establish contacts and relations, to understand the choice of ways of community target achievement, including through the formation of a favorable attitude, which will neutralize the public negative attitude, which was shaped due to various legal initiatives focused on the reduction of civil sector activities,” Lyubeznova emphasized. 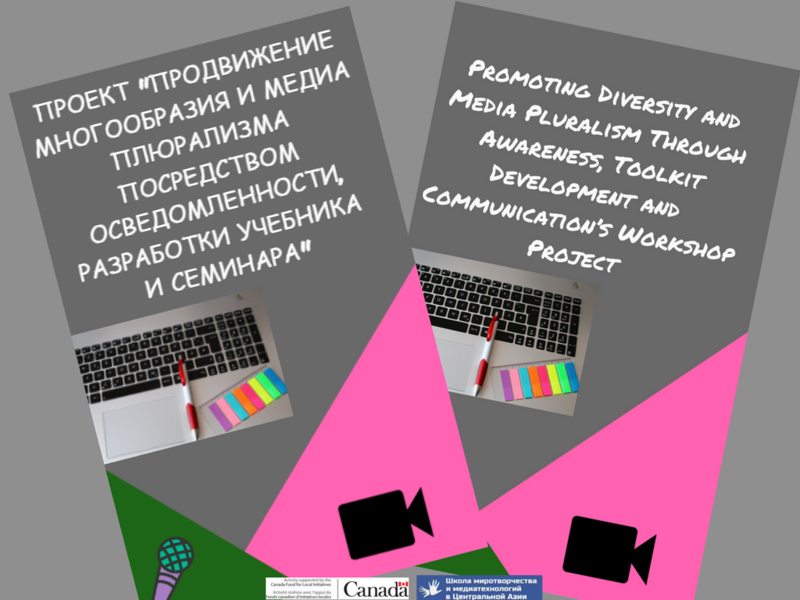 On September 4, 2017, the Promoting Diversity and Media Pluralism Through Awareness, Toolkit Development and Communication’s Workshop Project was launched. The project supported by the Canada Fund for Local Initiatives (CFLI). The main goal of the project is to raise public awareness on diversity through groups and improve the understanding of issues and possibilities to promote pluralism. In order to achieve this goal, a whole range of consultations and meetings with local NGOs, media outlets and public authorities will be held to discuss the action plan on raising public awareness through social media campaigns. The project staff will be monitoring the discriminatory initiatives and non-tolerance in the media and public discourse meant to constraint of diversity and pluralism in order to find out and prevent possible negative consequences, will develop and distribute the guidance on diversity for media workers and journalists, will organize a workshop on effective communications for activists working in the field of diversity and media. 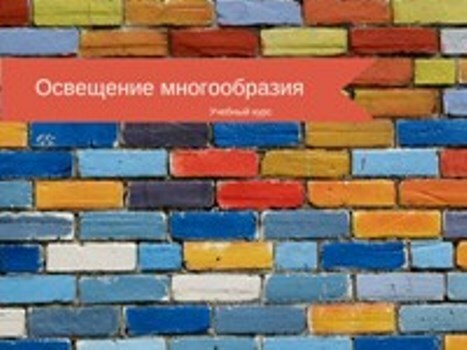 It is the first online handbook that in Kyrgyzstan has never been. This course was developed by trainers and experts of the School of Peacemaking and Media Technology as part of the Encouraging Diversity Through Media project with financial support of the Freedom of Information Program of Soros Foundation – Kyrgyzstan. The course is a training aid for journalists on how to cover ethnic, cultural and linguistic diversity in time of peace and conflict. Special sections provide detailed modern diversity terminology, aspects of diversity in laws and regulations of Kyrgyzstan, international practices and new approaches to diversity coverage. This course will be useful not only to reporters and editors, but also to media communication experts, teachers and students, and those who want to learn to write articles according to high ethical standards and norms.The lectures contained training aids used during trainingsessions on improving skills of journalists to cover diversity, producing team and multimedia coverage, as well as the modules on peacemaking journalism and destroying stereotypes, created as part of the Program to Reduce the Potential for Renewed Ethnic Conflict implemented in 2010-2013. The event was organized by the School of Peacemaking and Media Technology of the Network of Social Mediators with the financial support of the Freedom of Information Program of Soros Foundation – Kyrgyzstan as part of the Encouraging Diversity through Media project. TheThrough Diversity to Sustainable Development conference to be held on November 27, 2014 in Bishkek is going to expand the discussion on this topic. 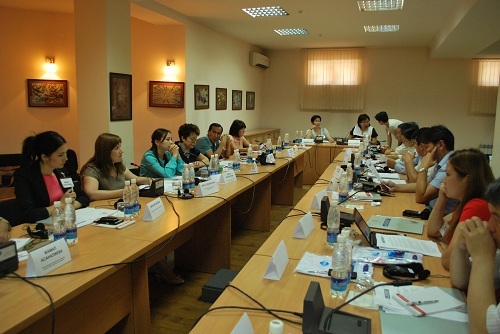 Intensive workshop was held on July 7-11, 2014 at Bishkek under the supervision of the media trainers from Spain, Kazakhstan and Kyrgyzstan, who have extensive experience in ethnic and inclusive journalism, production of multimedia product. The media training will be held from 7th to 11th of July 2014 at Bishkek. During the training, participants will increase their theoretical and practical knowledge of creation of content focused on ethnic issue and sharpen the skills of applying multimedia technologies. The participants agreed the idea of diversity and multilinguism should be supported and widely promoted to make representatives of all ethnic groups living in Kyrgyzstan feel themselves comfortable and equal. However, media attempts are not sufficient. A package of measures is required at the level of state policy. The event has been organized by the School of Peacemaking and Media Technology of the "Network of Social Mediators” Public Foundation funded by the Freedom of Information Program of Soros Foundation – Kyrgyzstan as part of the Encouraging Diversity through Media project.